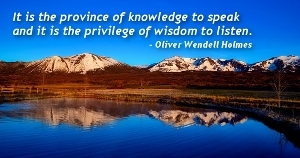 Famous quotes by Oliver Wendell Holmes - Quoteopia! Death tugs at my ear and says: Live, I am coming. Don't be consistent but be simple true. Every idea is an incitement...Eloquence may set fire to reason.